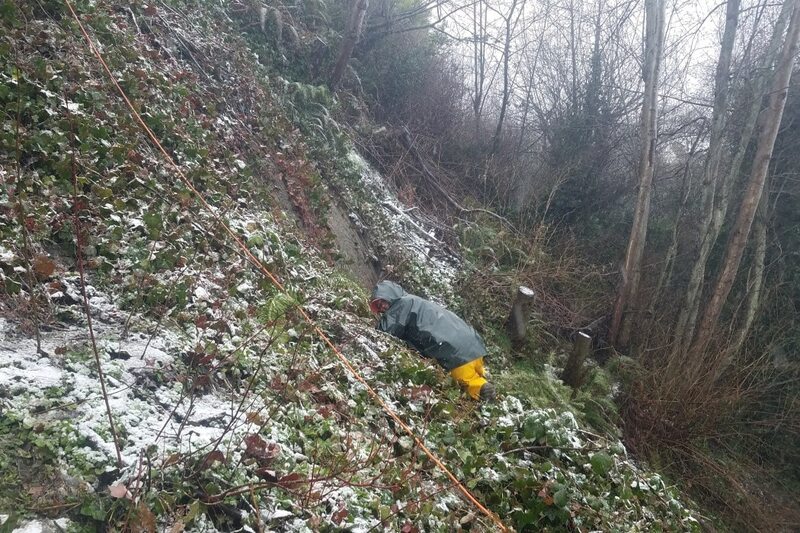 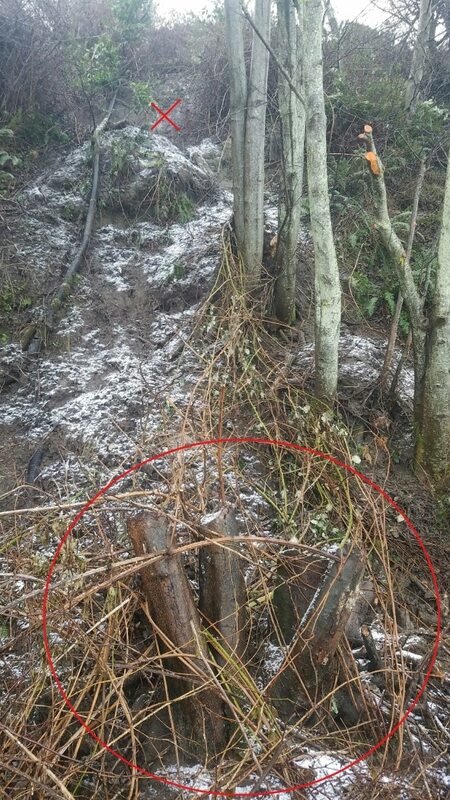 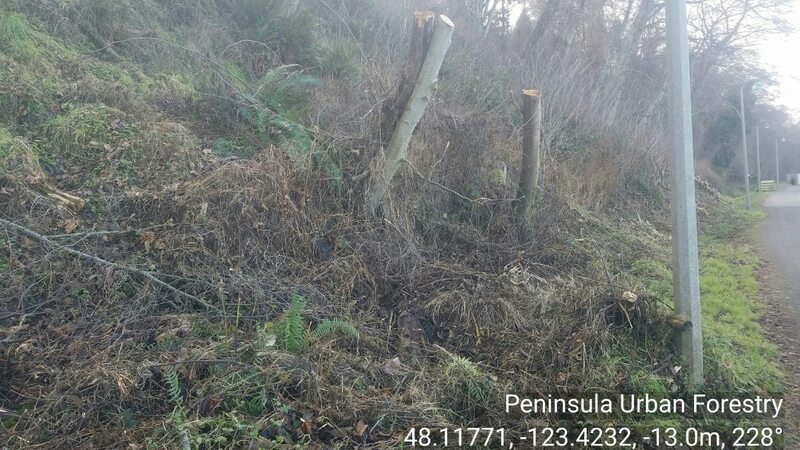 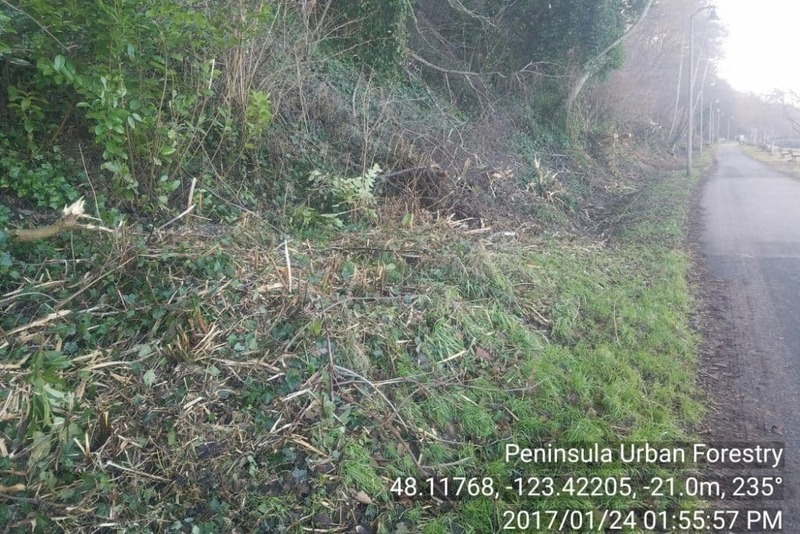 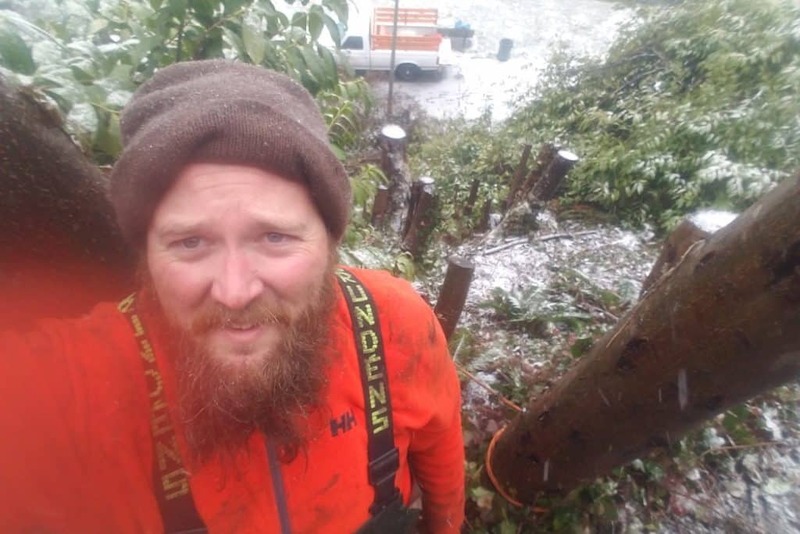 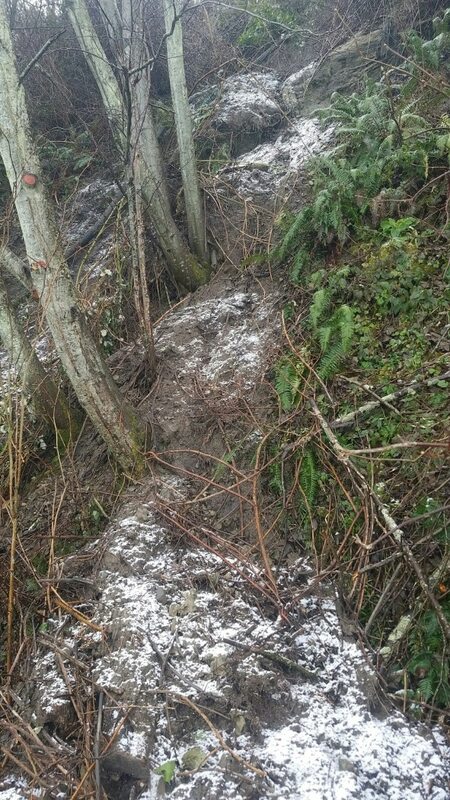 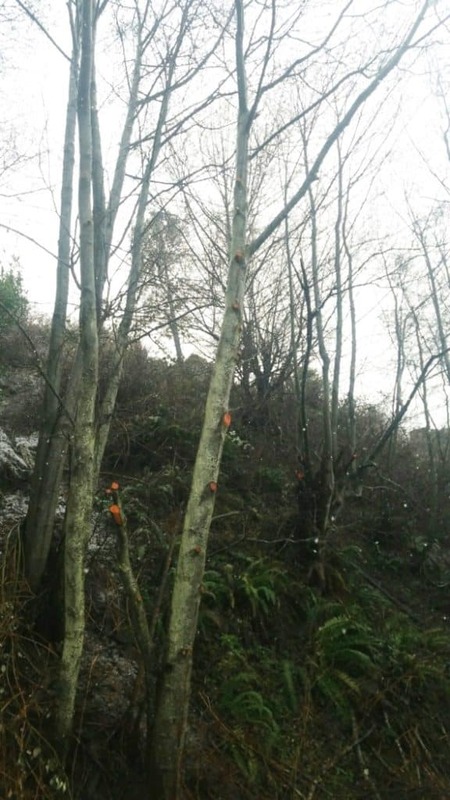 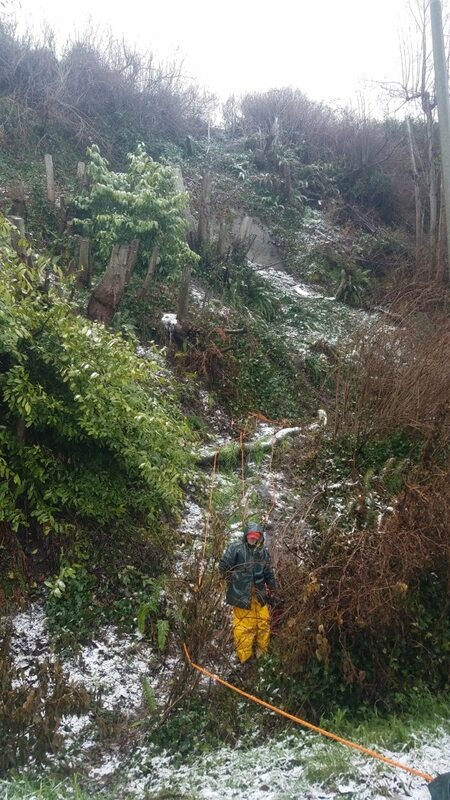 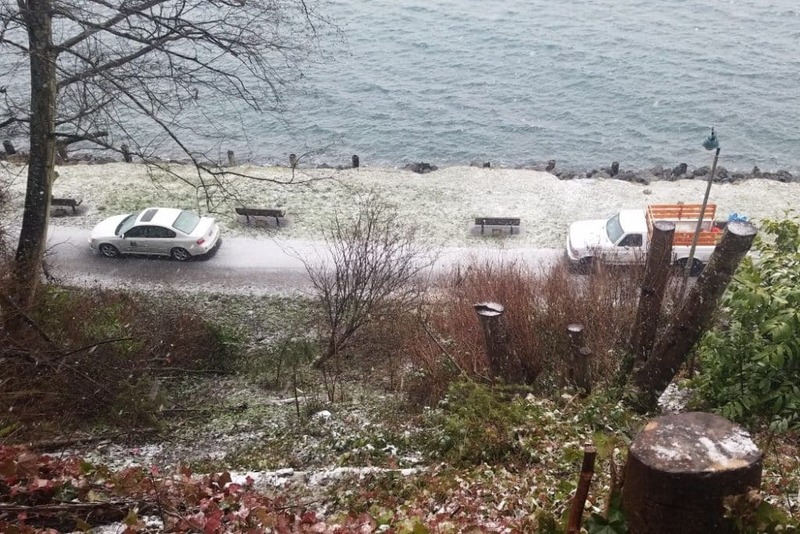 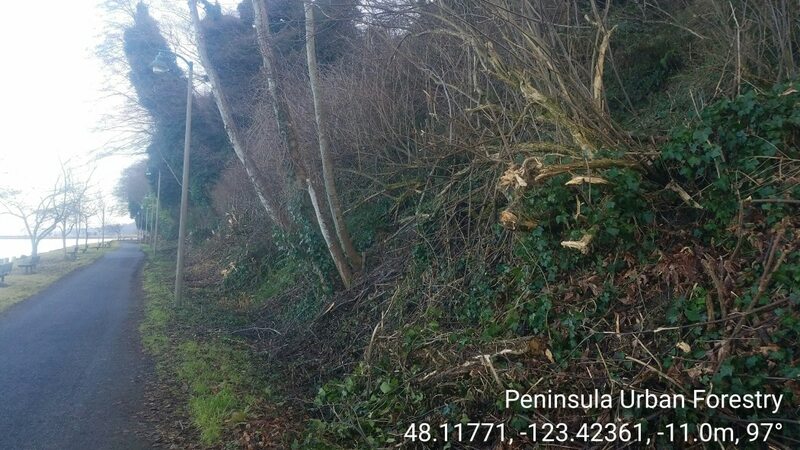 Following a tree removal on a shoreline in Port Angeles, the Peninsula Urban Forestry crew installed over 200 native plants suited for a nearshore environment to aid in slope stabilization. 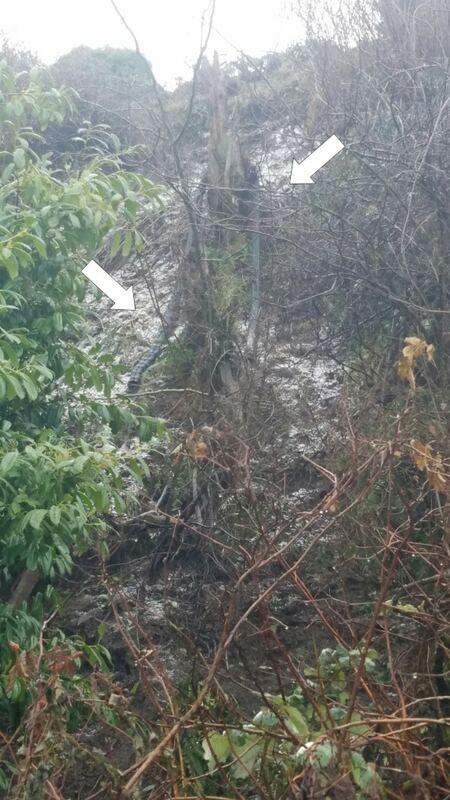 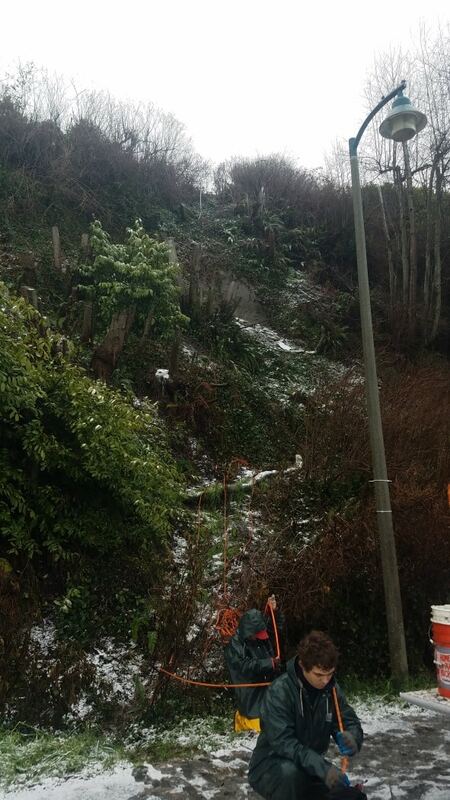 The crew maneuvered along the slope using ropes so as to minimize damage and erosion while installing the plants. 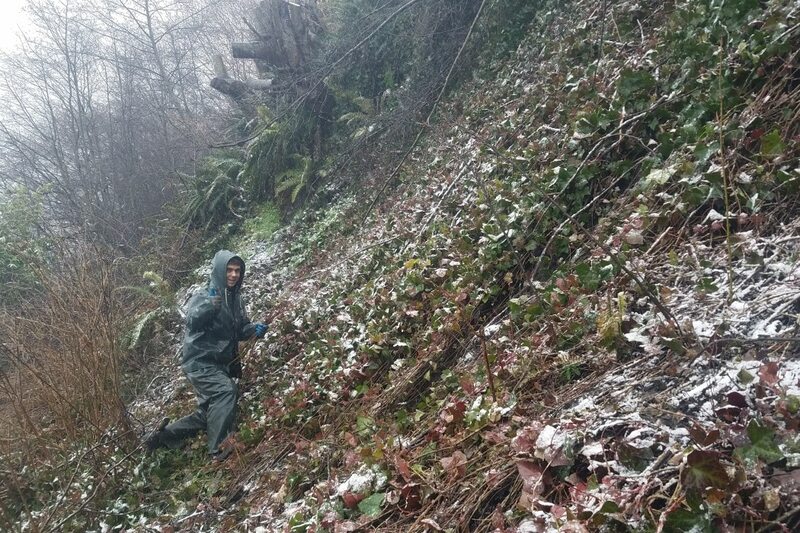 All of our planting techniques and plant selections are using best available science on the subject of slope stabilization.